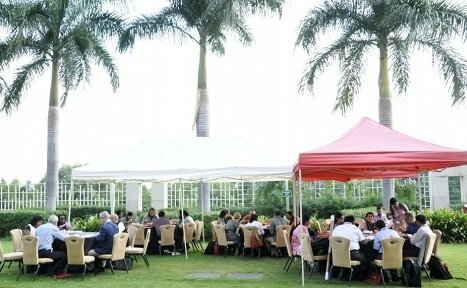 Fellows were encouraged to discuss their science, careers and personal challenges at this energising two-day meet. Growing pulses in India is good for our high-quality protein requirements and it is good for the soil, and we shouldn’t be importing pulses by the ton, said Anura Kurpad, the new Margadarshi Fellow of the India Alliance Program. Kurpad, a Professor of Physiology at St Johns Medical College, Bangalore, studies the digestion and absorption of nutrients from traditional food groups like pulses, millets and green leafy vegetables, which are important sources of protein, minerals and vitamins. It is still not clear if an unsanitary environment can reduce the absorption of these vital nutrients, particularly in growing children. In the coming years his research will estimate the bioavailability of nutrients in humans through intrinsic stable isotope labeling of pulses and legumes; work that he believes will also have implications for Indian agricultural policies and food strategy. Over two days (5th and 6th November 2015) the India Alliance Annual Fellows Meeting in Hyderabad was attended mostly by fellows who are midway through their five-year fellowships, with few attendees in their penultimate year and some first year fellows. It was a packed meeting, with 70 posters and over 30 talks by awardees, Wellcome Trust Board Members and Senior Mentors from India and abroad (USA, UK, Portugal). Two representatives from the African Academy of Sciences also participated in this two-day event to understand the operations of the India Alliance as they prepare for a similar partnership with the Wellcome Trust, UK, in Africa. The Wellcome Trust/DBT India Alliance, a partnership between the Wellcome Trust UK and the Department of BioTechnology (DBT), Government of India, aims to jump-start high quality research in India through eight well-funded fellowships. These target basic biomedical researchers and clinicians at various levels of their careers, and in the six years since the establishment of the scheme, 199 fellows have been supported. The Wellcome Trust/DBT India Alliance program is only one of the bilateral international programs of the DBT initiated to raise the quality of Indian science, yet is one of its most successful partnerships. 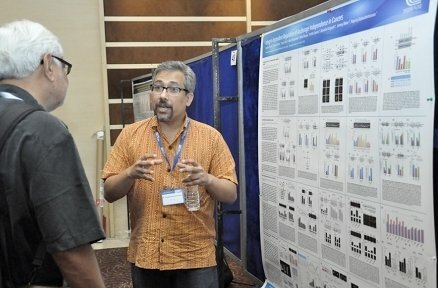 Rajesh Kapoor, Trustee of the program from DBT, who attended the Annual Fellows Meet, said of the program, “It brings a deep sense of satisfaction to note this progress, not only in terms of numbers, but the assessment of the impact the fellows bring to their institutions and the disciplines they pursue”. Fellows at the end of their fellowships spoke about the progress of their work over five years, and also about the process of working with the India Alliance grant. “This is the most flexible funding I have received—they say ‘extend and expand’, unlike other grant programs”, said Annapoorni Rangarajan from IISc, a Senior Fellow who received the fellowship for her work on molecular pathways in cancer stem cells. Apart from high-quality science presentations, the meeting dedicated a significant amount of time to discussing issues in Indian science. Some of these were how teaching can feed back into research, the increasing introduction of tenure-track faculty positions across institutions, mobility across institutions, the necessity for collaborative and infrastructure grants, and the need for adherence to the San Francisco accord (DORA) which explicitly excludes using journal impact factors as proxy for quality. After the scientific sessions on the first day of the meeting, Simon Kay, Head of International Operations, Wellcome Trust, spoke to fellows about how diversity can be good for their science, and encouraged further discussion in smaller groups. Diversity in the workforce includes both visible (gender, age, ethnicity) and non-visible differences (marital status, socio-economic status etc), and specific issues relating to caste in the Indian context were also discussed. Kay suggested that while a diverse workforce is right (compliance with law, affirmative action, etc), it is also smart, as differences in individuals might promote diversity of talent and skills and consequently an increase in productivity. He went on to describe the new India Alliance Policy Statement on Equality and Diversity, which will be available on their website soon. This year, in an effort to encourage public engagement and communication beyond scientific publications, the meeting also featured an image competition, in which Fellows were asked to submit images that conveyed the excitement of their science to a wide audience. The 22 submitted images were displayed prominently at the conference venue, and will be showcased at India Alliance public events in colleges in the coming year. D Balasubramanian, Director, LV Prasad Eye Institute, stressed on the importance of communicating science to the public and government. “In the case of science, we don’t do enough PR, though it would be easy to captivate an audience with recent developments today”, he said.